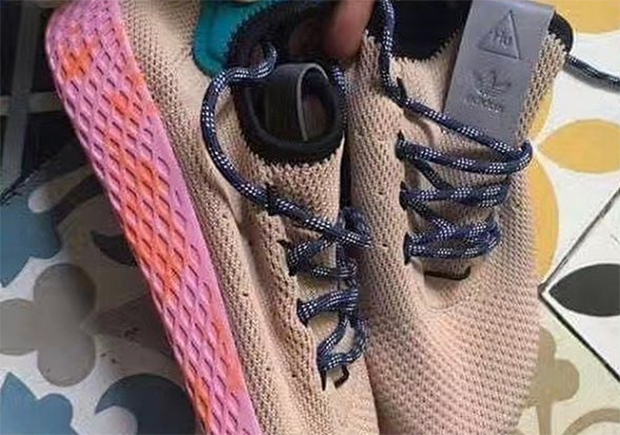 Pharrell‘s mysterious adidas Human Race sneaker still hasn’t gotten an official release date. For all we know, the upcoming silhouette inspired heavily by the adidas Stan Smith has been pushed ever further back into the second half of summer and early autumn. That hasn’t stopped the wave of upcoming colorways from rushing in, as this vibrant offering might be the most eclectic mismatched style atop the Pharrell adidas Human Race model yet. 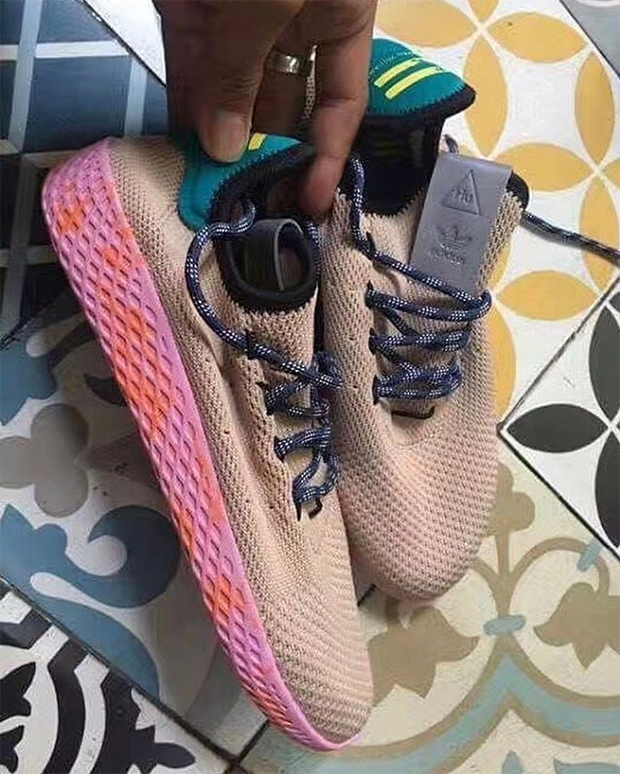 We’re still unsure of the technical specifications on the Human Race Pharrell offering – whether that seamless upper is Primeknit or a stretch-web mesh – but we do know that the pair won’t feature the coveted Boost cushioning system. Check out a full view below and stay tuned for more updates right here on Sneaker News.